Users of local government services expect the same kind of service they get from their bank or supermarket. That means mobile applications, easy-to-use web services, automated chatbots and other systems to allow seamless communication with citizens. People also want easy online payment of council tax bills and any other transaction they need to carry out with the local authority. These systems should not stop people accessing human help if required but keeping that for those who really need or want it will slash waiting times for all of us. At its best these types of digital communication can be a genuine example of improved service at a lower cost. By providing alternative routes for citizens to find information, call centre staff can focus on more complex requests which can offer them more satisfying work while also giving them time to deal with people who really need their help. Building communication platforms is not only necessary for customer contact. Council staff, especially younger workers, expect IT to provide remote access to networks, data and key applications. Hillingdon Council’s digital transformation project is a great example of this in practice. The London council’s “Hillingdon Improvement Plan” is a broad based, two-year change programme. It aims to provide excellent customer service through its contact centre, its One Stop shop alongside online services which residents can access 24 hours a day, seven days a week. Updating details, electoral rolls and registering for services can all be done at the convenience of the residents. It is important to accept that not everyone wants to talk online. The key to best use of digital communication is that it reduces pressure and frees up time for face-to-face contact for citizens who prefer to talk to a real person. The council sees three separate audiences which it needs to communicate with. The first is residents who need access to up-to-date and clear information about the council and its services. Secondly is communication with partner organisations like private providers of services and the police and other organisations. Thirdly the council needs clear communication with its own staff – a better informed workforce will be better equipped to deliver new ways of working and support the changing culture at the council. 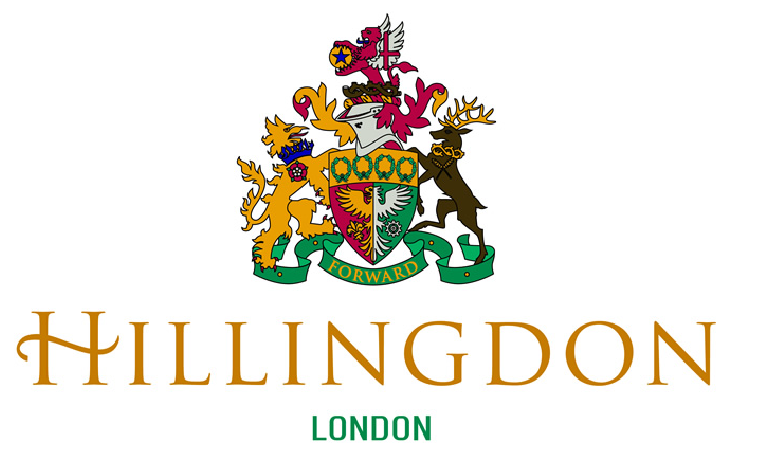 Hillingdon opted to adopt an Agile development methodology to help push through these changes. Last year the council advertised for several senior and well-paid IT staff to help build an agile architecture and help ensure the right mix of skills to support the long-term development of systems. This is no ‘flash in the pan’ – Hillingdon has a history as an early adopter. Back in 2012 it was the first UK council to migrate staff to cloud-based Google Apps which helped create £3m in savings thanks to reduced software licensing and support costs. It has won awards for the usability of its simple, clear website but is also very active on other platforms. The council’s official Twitter account has almost 43,000 followers, which for a borough of 270,000 is frankly amazing. It also has 5,000 followers on Facebook. But consumer-grade user experience goes beyond just communication. The council has also used new technology to rationalise how residents identify themselves for council services by introducing Hillingdon First. This is a smart card which identifies residents and gives them discounts at council run facilities including car parks, libraries, leisure facilities, council golf courses and waste disposal centres. But the card also offers residents additional services in the form of discounts from participating businesses. Over 400 local firms, from barbers to vets’ surgeries, offer discounts on presentation of the card, a valuable extra benefit for residents and a further encouragement to register for a card. The scheme cost £475,000 to set up which included the cost of producing and distributing almost 150,000 cards at launch. Ongoing costs are about £55,000 per annum in maintenance and software licensing. But overall the scheme is expected to be cost neutral. It does away with several other cards, like recreation centre memberships, which all had associated costs. Lost cards are replaced for free the first time, but there is a £5 charge for subsequent replacements. The card provides a way for the council to improve business processes by speeding up time spent by staff identifying residents, which reduces transaction costs as well as cutting fraud. It also provides an opportunity to charge non-residents more for certain services. When the London Mayor’s Office decided to create a chatbot it was looking to engage with people who typically miss communications from Sadiq Khan’s team. The project aimed not just to save money but also engage with younger citizens who do not tune into local TV or radio news but get their information online and via social networks. In order to engage with this audience City Hall chose a bot which talks to people via Facebook messenger. But rather than build one from scratch they worked co-operatively with the team at Transport for London which had already built a bot. This collaboration meant they had a rough prototype up and running in just one day. Facebook messenger was chosen because it offers good analytics and is an easy to use platform. The Mayor’s team decided to use the bot to help field queries for the New Year’s Eve fireworks – the biggest event City Hall runs. The existing fireworks website also provided an existing FAQ section which formed the starting point to train the bot. The FAQ could also provide both a back-up if people didn’t want to talk to the bot as well as providing a data point to compare against the bot’s performance. Rather than engaging in long drawn-out development the bot went straight into internal testing, which broke it almost immediately. This informed the subsequent design decisions with far less time wasted – textbook agile development. Internal testing quickly showed that people’s language use was far more varied than expected by the bot’s designers. Next was a soft launch which again caused problems because take-up by the public was so fast and some of the questions asked were unexpected. Based on data from the previous FAQ the bot’s builders expected the most popular query to be where you could buy a ticket. Instead people’s most frequent query was how to transfer a ticket to another person – a question not even considered before testing. The team continued to improve the bot in response to the beta test. They also found that the questions asked changed over time in the run up to the event – further reinforcing the benefits of their super-agile approach. The bot proved a preferred mode of communication compared to website searches or trawling through the FAQ. Of course not everyone will choose to talk to their council via a bot. But such imaginative communication ideas can help reach audiences which miss out on other channels of communication. By building them collaboratively and using agile development models they do not have to put undue pressure on budgets either. Technology is having more of an impact on the way we communicate with each other and with institutions than on any other part of our lives. The challenge for local government is keeping up with this change without losing touch with any sector of the population. By developing systems step by step and really listening to feedback it is possible to build better, smarter and cheaper.